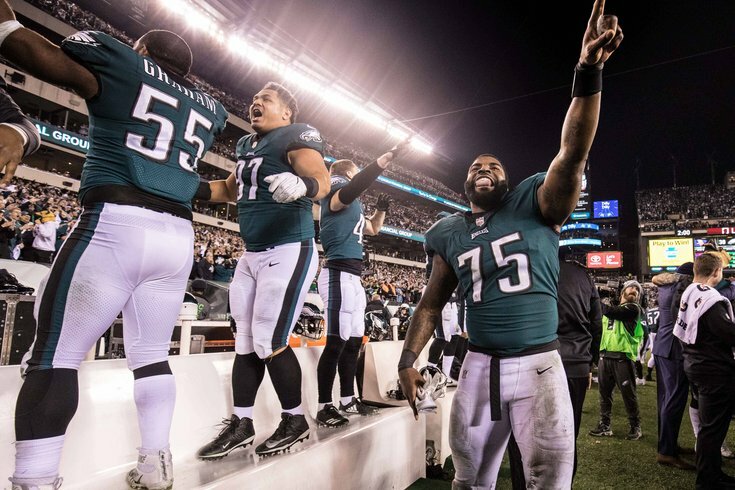 The Philadelphia Eagles are reportedly going to sign defensive end Vinny Curry, according to Zach Berman of the Philadelphia Inquirer. It'll be a one-year deal, according to Geoff Mosher of 97.3 ESPN. The Eagles are nearing a deal with defensive end Vinny Curry, according to a league source. The Eagles drafted Curry in the second round of the 2012 NFL Draft. He played for the Eagles for six years under three different coaching regimes. In his six years in Philly, Curry had 131 tackles and 22 sacks. Last offseason, the Eagles made the no-brainer decision to release Curry, who was set to count for $11 million (!) on the cap in 2018. The Eagles would have liked to have kept Curry, but the two sides could not agree on a pay cut. Curry was open to shedding some salary, but the Eagles wanted him to take a bigger cut than Curry was willing to take, as is my understanding, so the two sides parted ways. As it turned out, Curry got a nice deal on the open market from the moronic Buccaneers, who gave him a three-year deal worth $23 million. Curry played in 12 games (7 starts) for the Bucs in 2018. He had 21 tackles and 2.5 sacks. Tampa then made an obvious decision of their own to release him after one lackluster season. Meanwhile, the Eagles turned their attention to Michael Bennett, who they acquired in a trade for peanuts. Bennett had nine sacks and only counted for $5,650,000 against the cap in 2018. This offseason, the Eagles traded Bennett to the Patriots, this time getting peanuts in return, and have turned to Curry to replace him. It should also be noted that Chris Long's future with the team in 2019 is uncertain. The signing of Curry is like hitting the rewind button on a movie. The Eagles cut Curry, then traded a 5 for Michael Bennett and a 7. Then they traded Bennett and a 7 for a 5, and signed Curry back. Curry will turn 31 in June. When he last played for the Eagles, he wasn't much of a pass rushing threat (3 sacks as a 16-game starter), but he was a good run defender. He brings familiarity to the table, but likely not much in the way of impact. This signing should have no effect on the Eagles' plans in the draft.